The initial nose is quite sharp, acidic and reminded some of light diesel aromas, others of opening a box of new leather boots. With time, give it time and you will be rewarded. Sweet caramelised onions, lemon meringue pie, foamy shrimps and in the background a smoky scent from Lapsang Souchong tea or apple and cherry pipe tobacco. That smokiness carries on in the taste, burnt caramel and chargrilled chicken breast coated in teriyaki marinade seasoned with a lemongrass and coconut sauce. With water it is all lemon next to fresh strawberries and coconut jelly. The taste lemon fondant fancies, prawn sesame toast with lemon curd but also salty like lemon over a fresh oyster. Dram #1 from WOLS 14/5 Scotch Malt Whisky Society tasting hosted by Ryan McCafferty. 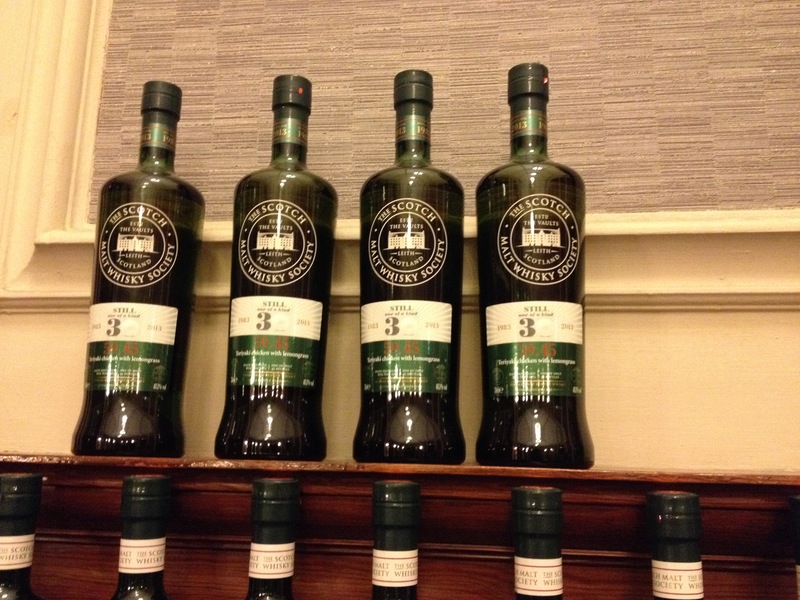 From the Teaninich distillery (SMWS distillery #59). A stunning aged dram that has some distinctly herbal notes but a refreshing sweet lemon zestiness that buoys it along nicely. This is one of those drams that reveals more and more subtle flavours and aroma’s. The occasional bitterness stops it becoming too sweet & sour, with a definite herbal and citric chicken/meaty element adding masses of body. Am exceptional example of aged single cask whisky from the Teaninich Distillery.